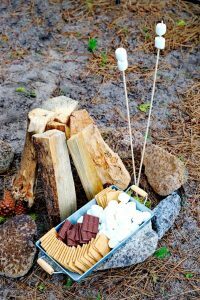 Camping Near Eagle | Eagle Idaho Real Estate | Think Alei. 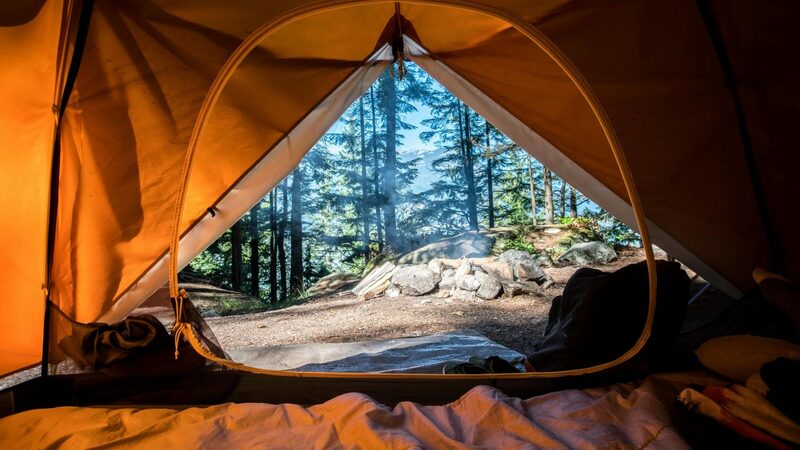 Camping and spending time outside can impact and benefit countless areas of your life. It can improve mental health, increase happiness and even build your creativity. Some of my greatest memories have been visiting state parks or going on beautiful hikes. As humans, we are designed for wonder. Looking up at the stars on a clear night far from city lights, imagining what lies beyond what we can see… this world is made for us, to inspire us. The best thing we can do for ourselves is to take advantage and be inspired by the beauty that surrounds us. 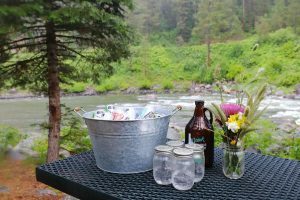 Whether you are a natural born wilderness explorer who only needs a tarp and a match or would rather be “glamping” in a 65-foot-slide-out camper, the Idaho State Parks have a perfect place for everyone. There are so many places within a few hours of Eagle, here are some of my favorites. Right in the heart of Ponderosa State Park lies the breathtaking Payette Lake. The lake is the crowning jewel of one of Idaho’s most popular year-round resort towns, McCall. Whether you like to bike, hike, kayak or canoe, Ponderosa State Park is a perfect destination for all your outdoor desires. With a visitors center with friendly staff and fresh ice cream, it’s a perfect destination for everyone. With nearly 200 campsites, this park has everything you need to make a perfect overnight experience under the stars. They have many serviced campsites that provide water and electricity hook-ups and even cabins available for rent. This truly is a wonderland for anyone wanting to get away from every day life for awhile. Cascade Lake is full of fond memories of family reunions and Sunday adventures for me. The large basin surrounded by beautiful mountains creates a brisk afternoon breeze perfect for windsurfing and sailing. The lake is chalked full of rainbow trout, coho salmon and small mouth bass all year round, just to name a few! In the winter it’s a perfect place for ice fishing and snowmobiling around the frozen lake and there’s massive sledding hill just across the street. In the summer, there are gorgeous hiking trails and even patches of our state berry, huckleberries, if you know where to look. Just beyond the park at the North Fork of the Payette is world-class white water rafting. Around the lake there are many camping options from total free-range mountain man to fully serviced hook-ups. Along the 86 miles of shoreline, you are sure to wake up to a beautiful sunrise over the North Fork Mountain Ridge. In this day and age, travelers will find their stay at the Three Island Crossing much more comfortable than the Oregon Trail pioneers who crossed the massive Snake River in this spot over 100 years ago. This location offers self guided tours of this historical location with a look at the original wagon ruts and covered wagon replicas. Just inside the park there is a Oregon Trail History and Education Center where your kids can learn more about the pioneers, early settlers and Native American tribes from this area. Take a dip in the Snake River where the emigrants crossed or sit under an old tree and enjoy a picnic. This park offers over 80 serviced camp sites and eight cabins complete with lockable windows, doors, electricity and heating/AC. This is a perfect place to come especially if you want a little side of history to go with your vacation. Bruneau Sand Dunes is a favorite place to go and pretend as if you’re on a beach or if you want to go see some incredible stars. They pride themselves on having the tallest single-structured sand dune in all of North America with a peak rising over 470 feet higher than the surrounding floor. Whether you want to take your hiking boots and look around or take your shoes of and race to the top, this is a great place to spend the day. The visitors center also offers sand board rentals which is such a fun activity that you don’t get to try evert day. You can go fishing for blyegill in the lakes at the bottom of the dune, have a picnic or my personal favorite, explore the observatory and look at the night sky through their immense collection of telescopes. This campsite offers 100 serviced campsites and two cabins. So what are you waiting for?! Go head out there and be inspired. Make mother nature proud, but always remember to leave wherever you go better than you found it. We love our parks and want to keep them around as long as possible. One of my favorite programs the Idaho Parks and Recreation has created is an Idaho State Parks Passport which covers your motor vehicle entry feel into the parks which is usually around $5 You can get yours at the Idaho parks passport website for only $10 a year! And be sure to check the Idaho parks and recreation website to plan your adventure and make reservations. Eagle is so close to all these amazing parks and that is just another reason why I love Eagle Idaho and what makes it a great place to live. It’s also one of the reasons why many people move to Eagle. As always feel free to call me to get my opinion on any of these amazing places! Enjoy!